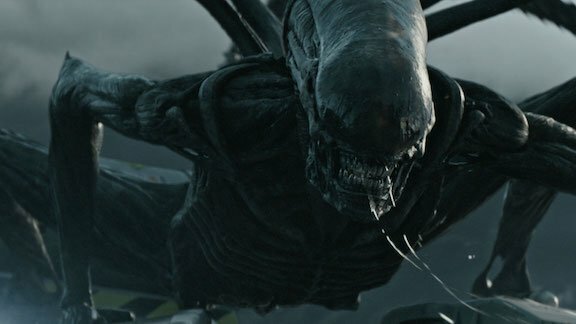 New ALIEN: COVENANT Official Trailer released! Check out the new official trailer 20th Century Fox has released for Alien: Covenant! Wow, this looks so good, we get a good look at the alien at last, can’t wait for this film! Ridley Scott returns to the universe he created, with ALIEN: COVENANT, a new chapter in his groundbreaking ALIEN franchise. The crew of the colony ship Covenant, bound for a remote planet on the far side of the galaxy, discovers what they think is an uncharted paradise, but is actually a dark, dangerous world. When they uncover a threat beyond their imagination, they must attempt a harrowing escape! And here’s the teaser poster… HIDE! Its a great looking trailer for Alien Covenant indeed! Yes, I like the forest setting, wasn’t expecting that, looks very spooky. I’m sure the action will be set equally on the plant and the ship, I think the ship interiors look quite claustrophobic and creepy too. Great first look at the Xenomorph as well, a Headbbanger Alien by the looks of it! I’m not a big Alien fan, but I am glad to see the franchise bringing them back into the main focus since they were absent from Prometheus. 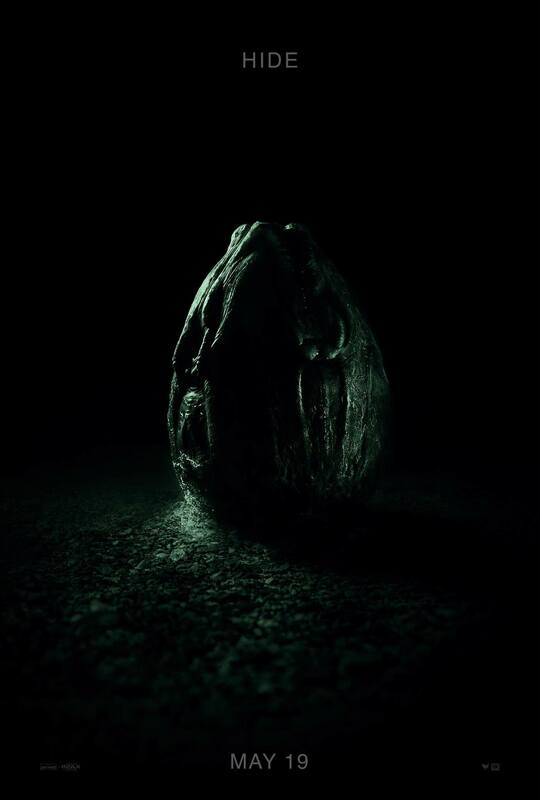 This seems like a return to its roots with the horror elements all around which is what you’d want from a big Alien film. The humans are definitely doomed unless a certain lady with a gun from the future shows up. Going to avoid this second trailer tbh (although I am tempted) but very much looking forward to the film in May! I think this and Logan are my most anticipated movies so far. Can’t forget Blade Runner 2 either. Another good trailer. That headbanging alien is insane! Same here, Logan is another must see, I like all the X-Men Films too. Blade Runner 2 is sure to be a big film as well. I thought this was a great trailer for Alien Covenant, seems much closer in tone to the original film, which I think is a good thing. That Alien at the end was mental, wouldn’t want to mess with that! I like all the X-Men films too, same as the Alien franchise. TBH even the weaker films still get my attention and find their place. Did you notice the mad alien at the end slobbering all over the place!! I agree, even the not-so good films are always usually worth a look – for their strong production values alone. I’m a big fan of both films series as well. Yes, I did, that Alien looked great. So did the eggs in the ship, and the facehugger jumping out! This is at the top of my summer anticipated list.